Apeal waivers are commonly used in plea agreements in Miami to resolve federal crimes. According to the Presentence Investigation report, the federal criminal statute required a mandatory minimum sentence of 10 years. Before Smith was sentenced, Congress passed the Fair Sentencing Act of 2010. 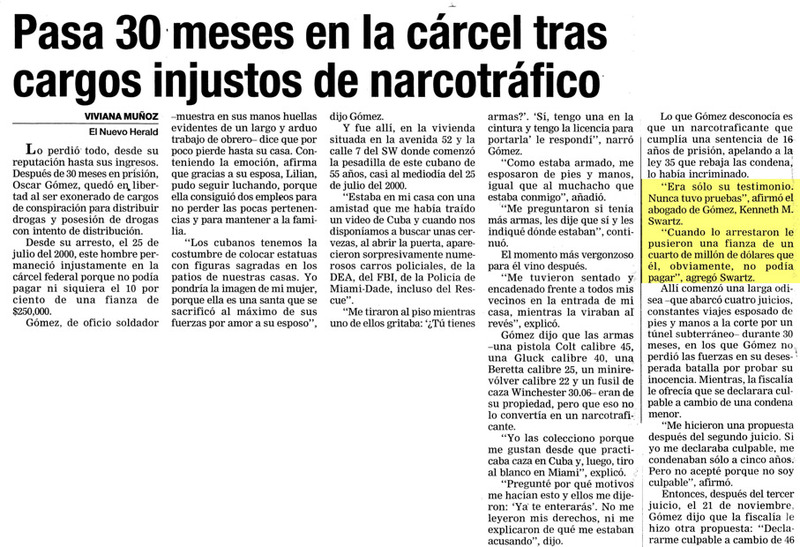 The law reduced the minimum mandatory sentences for cocaine base. Under the new law, Smith would be subject to a criminal penalty of a 5 year mandatory sentence instead of a 10 year sentence. At Smith’s sentencing, the federal sentencing judge denied his request to be sentenced under the FSA because the sentencing judge concluded the FSA did not apply to Smith because he committed his offense before the new law took effect. Smith appealed his sentence despite the appeal waiver. While Smith’s appeal was pending, the Eleventh Circuit decided U.S. v. Rojas, which held that the FSA is applicable to defendants whose criminal conduct occurred before the August 3, 2010 enactment, but who were not sentenced until after that date. The panel in Smith’s case acknowledged that under Rojas, the FSA would normally apply to Smith’s case because he was sentenced two months after the FSA was enacted and he would be facing a 60 month mandatory minimum instead of 120 months. Nevertheless, the court decided the appeal waiver barred him from pursuing an appeal to seek relief under Rojas. None of the three appeal waiver exceptions applied to the grounds for his appeal. Here was the real bite for Mr. Smith. Prior to this decision, the government moved to withdraw it brief and moved to vacate Smith’s sentence and to remand for resentencing under Rojas. The reason for its position changed was that the Attorney General changed the policy of the Department of Justice on whether the FSA applies to cases in which the defendant was sentenced after enactment of the FSA legislation. But the court refused to grant the government’s motion on the grounds that the law concerning sentence appeal waivers had not changed and it was bound to enforce the appeal waiver. The court commented that the appeal waiver served the interests of the judiciary as well as the interests of the government and defendants.